Valentine's day is only one week away. 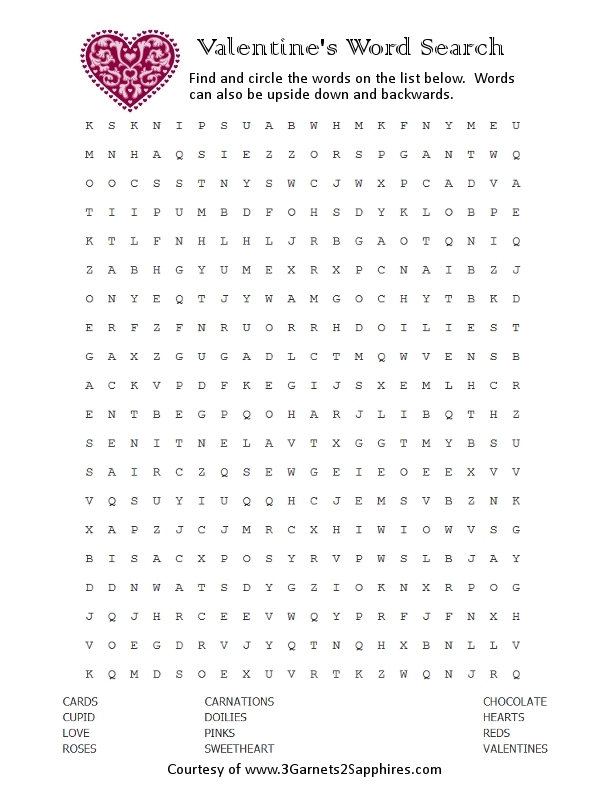 I really meant to share these Valentine's Day word searches a couple of weeks ago, but I was sick for almost a whole week and am just getting caught up. 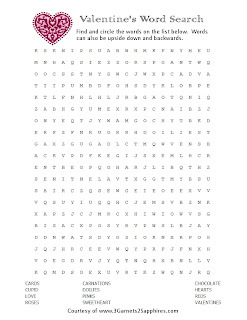 Like all the other word search puzzles I share, these have 3 levels of difficulty . . . one for grade school-aged children, one for Pre-K through 1st grade, and one for preschoolers where the first letter of each word has been highlighted. 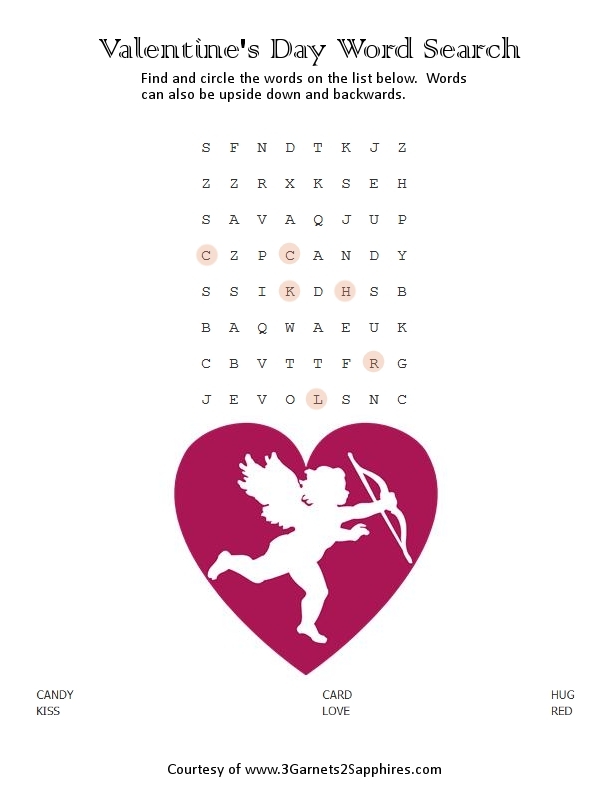 All puzzles have an answer key that you can either print or just save to your computer for reference. As always, these puzzles are free to print. 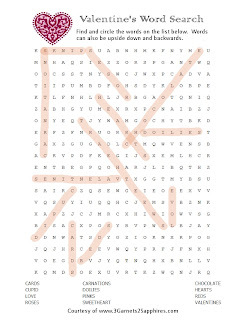 Look for more puzzles to come. The next one will most likely have the theme of Springtime. If you are looking for a specific theme, feel free to request one by leaving a comment or using my contact form. 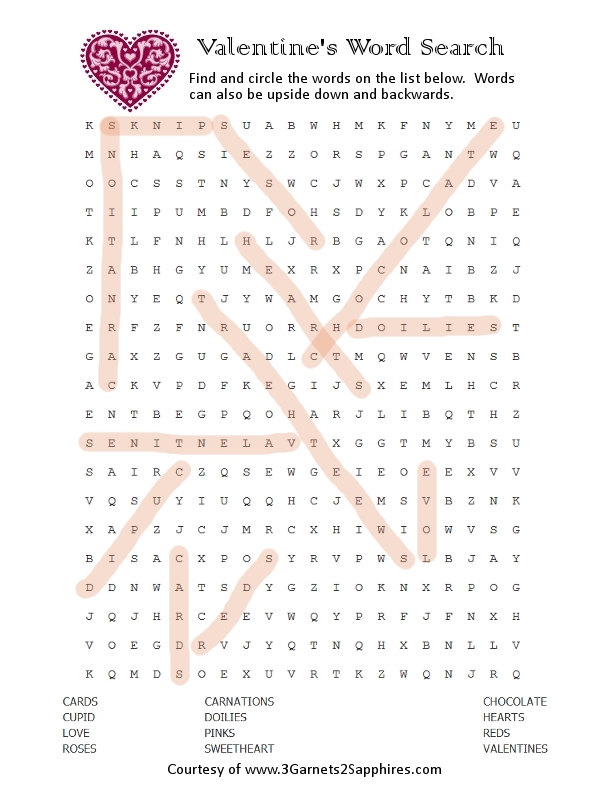 If it is one I think my readers would enjoy, I would be happy to create word searches in that theme and share them on 3G2S.